The strike at Robertson Winery has now entered into its seventh week. Although the company and the union have had one meeting, meaningful negotiations have yet to get underway. There is still no knowing how long the strike will last. The management at the Winery is still not ready to negotiate in good faith, in correspondence with CSAAWU RW management has not shifted from its 8% wage offer. Workers still feel undervalued and unappreciated by Robertson Winery. The company is not willing to engage around the demand of a living wage. We need to intensify our campaign and show the company just how many people and how much determination is behind this strike. Since the beginning of the strike, the company has employed scab labour. Lately they have intensified the recruiting of strike-breakers from the surrounding towns. 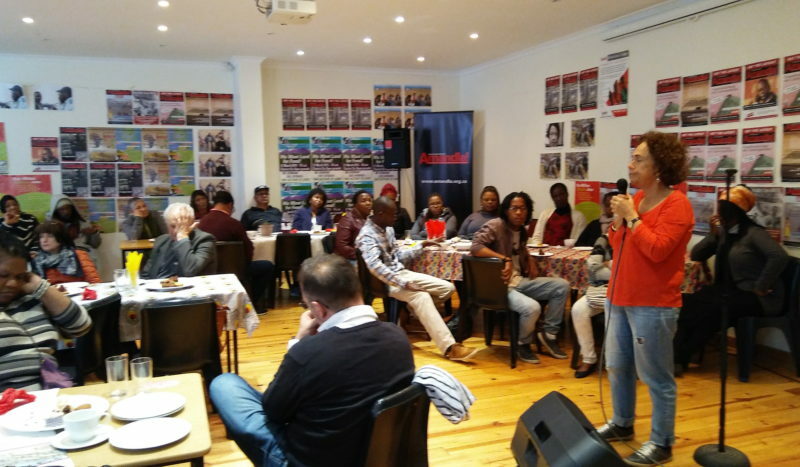 Over the past weeks – striking workers are trying to persuade people in their communities to have solidarity and not to take work at Robertson Winery. 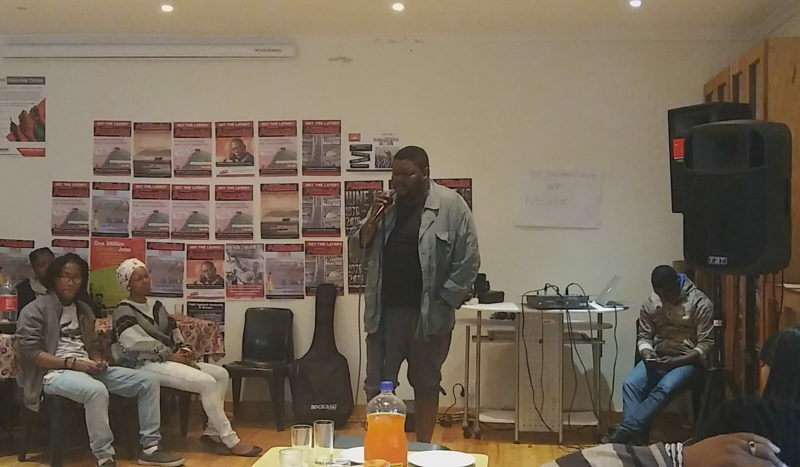 Weekly the workers have undertaken community meetings for solidarity. They talk to people on the street and go house to house, they go to the pick-up points in the morning to talk to scab labour and encourage them to show solidarity. 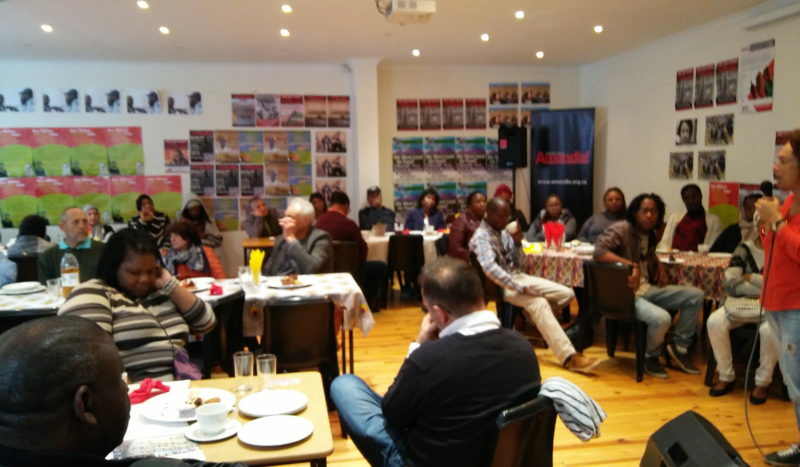 However, the task is big and resources are small, therefore there is a need to spread the word in the communities and tell the world about the impasse between the workers and management of Robertson Winery. Workers continued to demand a living wage and believe the company is in a position to provide it or progressively move towards a living wage. The massive use of scab labour is just one way the company displays its deep-rooted disrespect for the striking workers. In fact, the management of Robertson Winery appear reluctant to engage with CSAAWU. 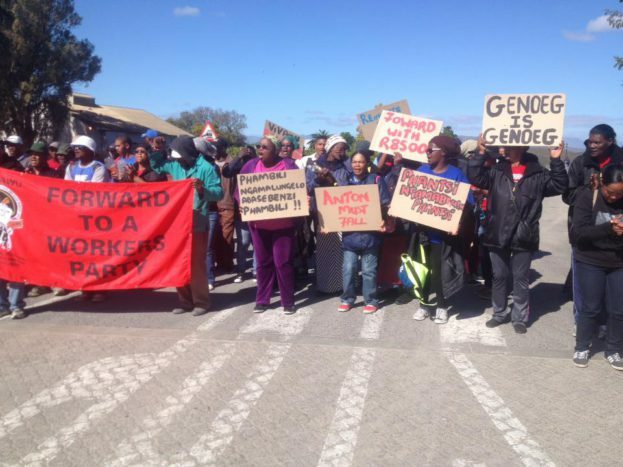 Workers claim that they have worked for many years without any real wage increase; they also demand that Robertson Winery management do away with the exploitative labour practices and the apartheid wage gap that exist currently in Robertson Winery as well as in many other work places in the country. As indicated earlier negotiations between the company and CSAAWU, have yet to begin. The CCMA (Commission for Conciliation, Mediation and Arbitration) will oversee and assist the negotiations. 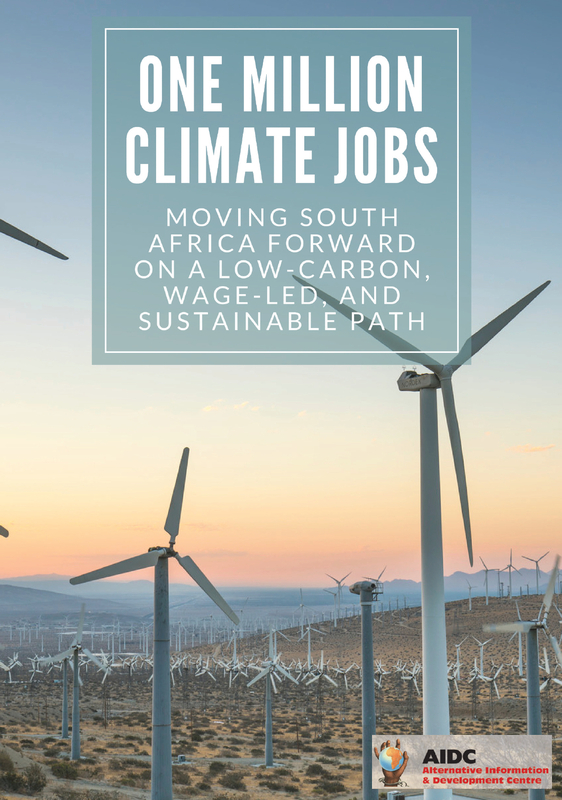 Most recently the company completely refused to acknowledge CSAAWU’s request for access into some of the company’s financial records with relevance to the union. Instead, they display complete disregard for open and fair negotiations, where relevant information must obviously be shared with the union. The meeting between the parties that took place on Wednesday 28th of September was equally difficult, here to the union was not allowed into the process with the company to examine their financials, except for the accountant. Robertson Winery has intensified its intimidation tactics. The strikers report very rude private security cursing at them, and company cars were driven too fast through the picket line. Tensions are high, and the workers are very agitated. All strikers are aware, however; that they need to keep within bounds of the court interdict on the strike. generate support and solidarity. 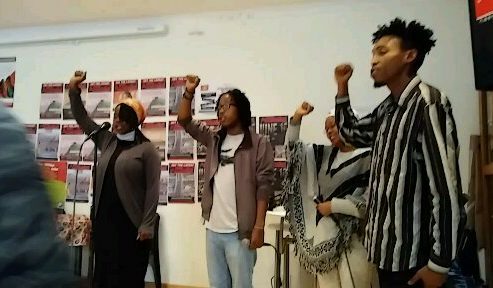 Workers have addressed big numbers of students at the UCT and UWC Universities, and the students have made this campaign for a living wage their own and support the call for a boycott of Robertson Winery until the strike is settled. There have also been a number of TV and radio shows, which have taken an interest in the strike and where workers have represented themselves. International solidarity is booming with messages of solidarity coming in from around the world. 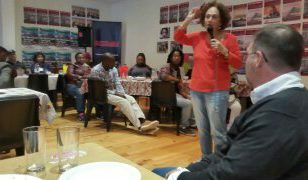 Other workers are inspired by the strikers, and CSAAWU is experiencing growing membership numbers. Food hampers have been distributed to the struggling workers. 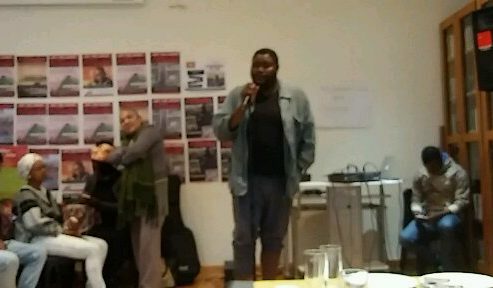 On the 01st of October we had solidarity fundraising party. 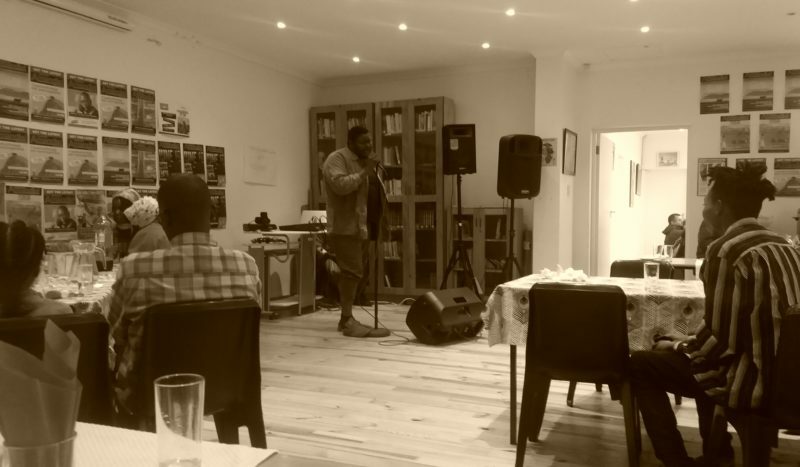 It was a great success, lots of people came and showed their support; and the party yielded a profit of around R6500. This past week has been dedicated to a lot of meetings, not least a meeting with Swedish government controlled alcohol monopoly; Systembolaget who is a major buyer of Robertson Wine. 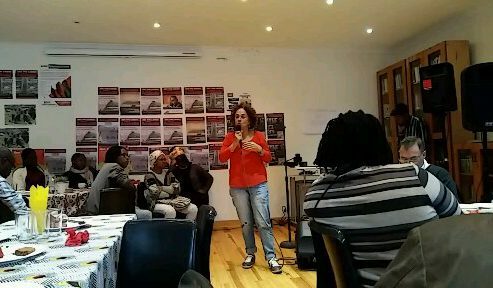 CSAAWU and other farm workers union raise their dissatisfaction with the views Systembolaget express in a Swedish newspaper. 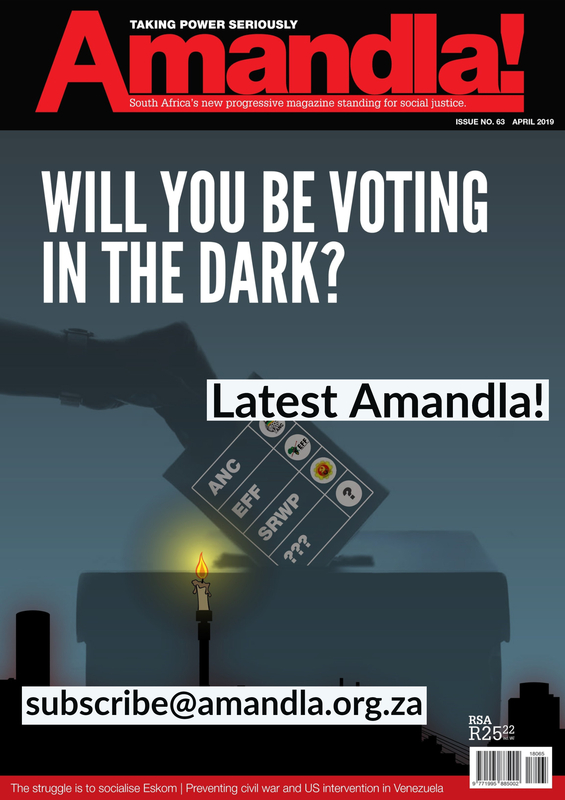 Will forward the article and CSAAWU‘s response to you. On Saturday 08th October 2016 the workers have decided to do a mass manifestation in the form of a march in Robertson, where a memorandum will be handed over to local government officials. The march was successful with approximately 500 people attending. To mobilise this kind of number in rural communities is challenging. Thus we are very appreciative of this level of support. 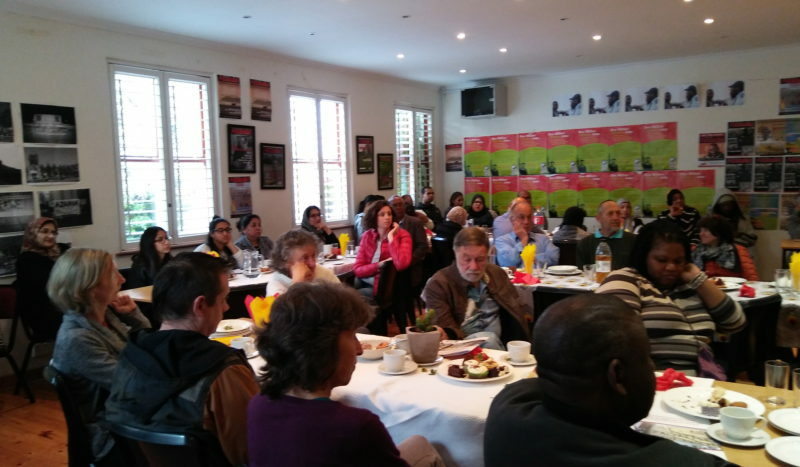 After the march a solidarity fundraiser was organised. 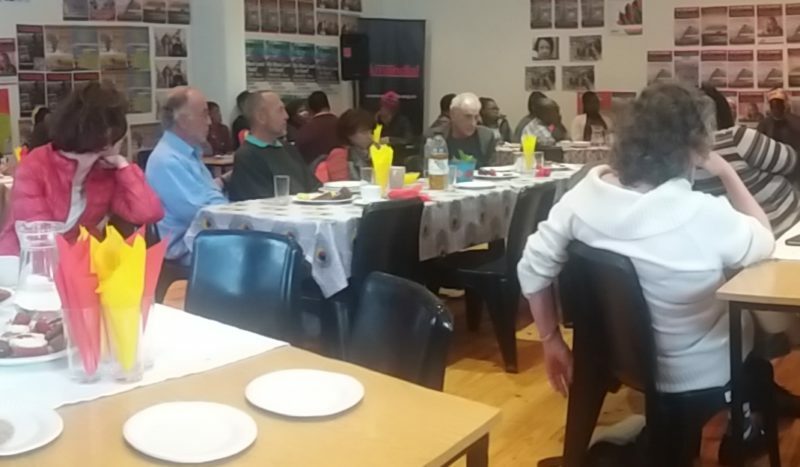 It was a great success, lots of people came and showed their support; the fundraiser managed to raise around R6000. But while hopes may be high and spirits are strong, it is still straining and draining to be on strike. The workers need all the continued solidarity and support that they can get. Please, we call on EVERYONE to support in every way we can. Thanks for intensifying the boycott campaign both at home and abroad the company is feeling the seriousness of this solidarity support. We need to sustain and maintain our solidarity work locally and internationally, by all means possible. We need to support the struggling workers with food hampers and money for legal fees. We cannot let the company win. This is a battle for human dignity, and we MUST win!